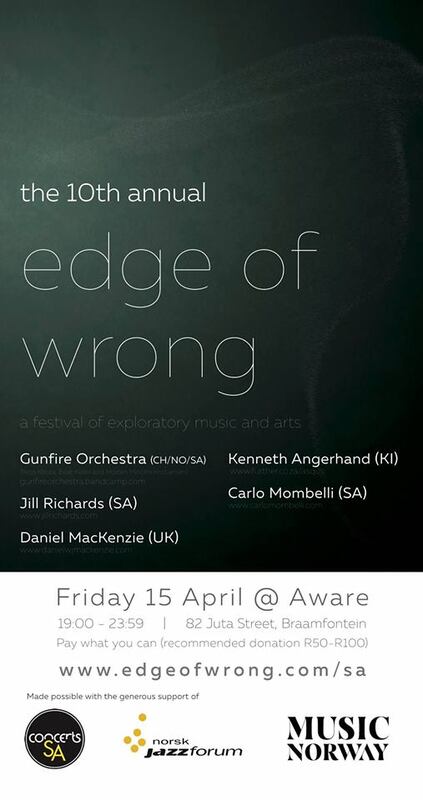 If you’re in Johannesburg tonight, take yourself to the Edge! Read more about the festival and artists performing tonight HERE. This entry was posted in art, embodiment, music, remix and tagged edge of wrong, experimental, improvisation, noise. Bookmark the permalink.